Six measures of gin would surely kill me. My own preference is for two measures of gin. But first, I pour a dash of vermouth into the glass, swirl it around for a few seconds, then pour it down the sink, before adding the gin into the shaker and stirring it for ten or so seconds and then pouring it through the strainer into the glass. Basically, it ends up being two shots of gin, served cold. The vermouth doesn’t stand a chance. I’m sometimes amazed that Fleming made it to the age of fifty-six. If not for the stress associated with the legal wranglings over the ‘Thunderball” saga, I get the feeling that he probably would have made it into his late seventies or early eighties. People were made of sterner stuff back then. I’m not so sure Teeritz–the Flemings apparently have weak hearts. Ian’s nephew Nichol died from a heart attack at the same age as him. Peter Fleming also died from a heart attack and outlived Ian by only 8 years, despite consuming less booze, cigarettes, and richly buttered scrambled eggs. Thank-you, sir. I’m out of practice. Took me about two hours to finish that drink. I was considerably worse for wear by the time I bit into the olive. Can’t drink in your forties the way did in your twenties, and I found that out the hard way…hic! I’ve come to forego the vermouth all together. I love the clean, cold taste of the shaken gin. The one thing I’ll never forgive Mr. Fleming for, though, is starting the trend for vodka, to the point that young people today often think that a classic Martini is made with vodka. 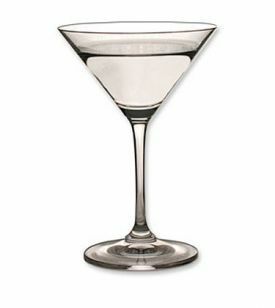 6-1 is strong even for a dry martini (anything above 3-1 is dry, usually dry is at 5-1). Shaken is not usually recommended for gin (try both to understand) but sitting properly is harder then shaking and requires bigger ice cubes so if you are in a standard bar, shaken will be easier to manage for the bartender. Vermouth must be dry (no Martini Rossi… Go for noilly prat if nothing else is available). As for the vodka martini… When Fleming wrote, vodka was usually from potatoes which must be shaken as it is more oily than grain vodka or gin.